Join prominent local natural builder Ayal Bryant and the Rancho Mastatal building crew for this Day workshop on Cob oven Finishes. On Sunday students will be applying the finish layers to a cob oven that was built during our cob oven workshop a few weeks prior. 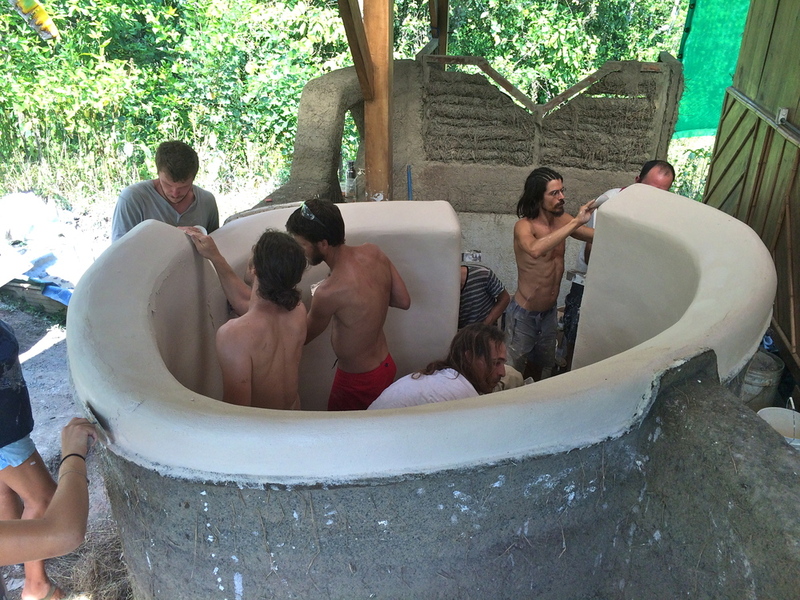 Ayal Bryant has over ten years experience in natural building and during the past 5 years has specialized in building cob ovens for restaurants and homes all over Costa Rica. 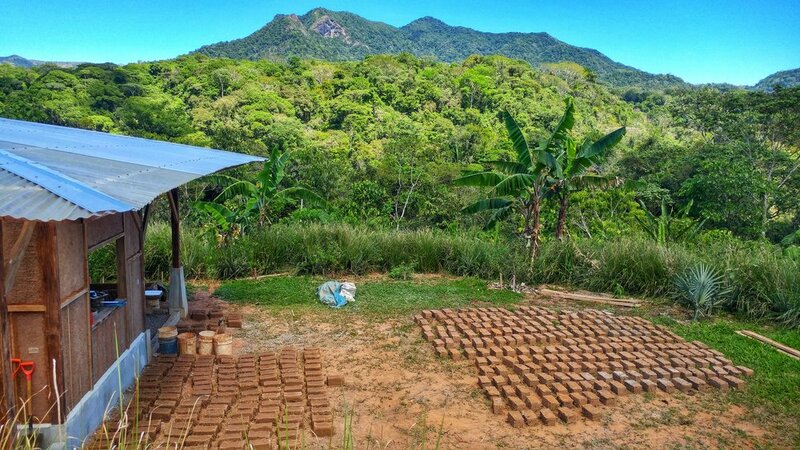 His passion for natural building comes from his family who have worked on restoring and rebuilding typical Costa Rican adobe homes which meant he spent most of his summers in mud holes helping prepare adobe mix. Once graduated as a product design engineer he pursued a MSc in sustainable building in the UK and returned to Costa Rica to build the largest super adobe house in Central America. During this time he also started to build cob ovens, his first one was in his mother's yard but as people began to see how it was built and the end result orders started to come in for customs ovens to be built all over the country. This allowed Ayal to dedicate the past 5 years to build over 20 ovens and has become the only profesional cob oven builder in Costa Rica. The course will start on the morning of Sunday, June 30. Students are encouraged to arrive on Saturday June 29. Lodging the night of June 29 is included in the cost of the class. The course will end at around 5 p.m. on June 30. Most students will depart on the morning of July 1. Lodging the night of June 30 is included in the cost of the class. Price includes all food (except Sunday dinner when we close our kitchen to support the local restaurant), lodging and instruction. A $100 non-refundable deposit will secure your spot in the course. You can make your deposit with PayPal below or go to our Payment page for more information and options. This class will be taught primarily in English though there will be plenty of bilingual support for those not perfectly comfortable with English. All food (except Sunday dinner when we close our kitchen to support the local restaurant) and lodging is included in the cost of the course. Students will stay in the Ranch bunkhouse with options for upgrades. We provide high quality mattresses, linens and blankets. Please see our Accommodations page for more information. Please see our Payments page for more information about how to pay. Please see our Directions page for detailed information on how to get to Rancho Mastatal. To enroll in the class, please fill out our Online Registration Form. For more information about this class and Rancho Mastatal please contact us at info@ranchomastatal.com and/or call the Ranch at 2200-0920.